We describe a design for a single beam towards one half plane with a null towards the other half plane. The need for such solutions are very relevant is applications such as automobiles where wither only speech from the front passenger or driver is desired. Our solution will filter out one half plane entirely. To be precise, suppose there are two signals anti-phase to each other, with the angle of arrivals of these two sound sources denoted as with a radian sweep separation. Our custom designed filter can produce spatial beam-patterns that exhibit negligible attenuation at all frequencies as shown in Figure 1 with added spatial filtering with desired beam width. 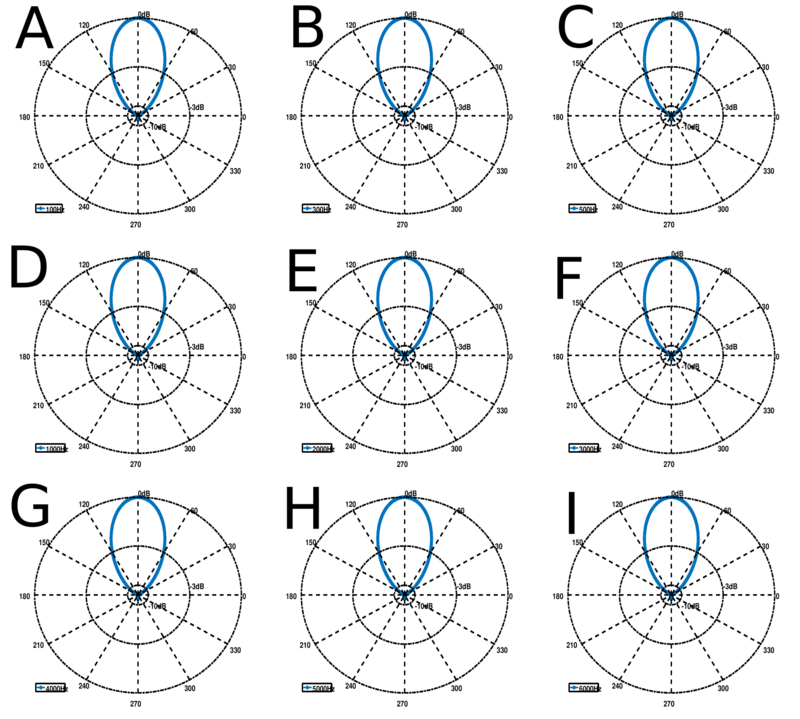 Figure 1 illustrates patterns for 9 distinct frequencies, thus, , , , , , , , and illustrating a consistent spatial filtering with a beam width of . Figure 1: Spatial filtering beam patterns. The performance of all beamforming noise/interference suppression algorithms are heavily reliant on the quality of the estimation of the source signal location. In using two signals, and time difference of arrival of samples at the two microphones, there are discrete angles that can be returned using the classical approach. Vocal has the technology to use a coherence based approach which removes the limitations in classical angle of arrival approaches for two microphone. A sample of the results is shown in Figure 2 below where we have performed only signal separation, no pre-filtering. The top row of Figure 2, labeled “Original”, is the received temporal data which contains two sources interlaced. The two sources are a female speaker from a direction of and a male speaker from a direction of . The bottom row of Figure 2, labeled “Separated signal”, shows the initial performance of our proposed algorithm showing the isolated speech for solely . This example on real data, for instance, achieves more than improvement over the regions containing the undesired speech source, a performance that will be repeated were the undesired speech source a television audio of similar magnitude from the same direction.